A lot of times we need to make a copy of a worksheet in Excel. Maybe you want to create a back-up worksheet, or you want to create a new worksheet but don’t want to redo the formatting. 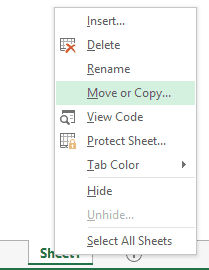 Right-click on the worksheet tab for which you want to create a copy. Select the Move or Copy option. Check the “Create a Copy” check box. This will create a copy of the worksheet. While this is a perfectly fine way to copy a worksheet in Excel, it’s not the most efficient way of doing this. 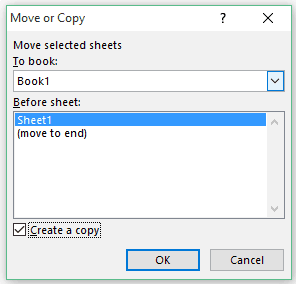 In this tutorial, I will show you a super quick and efficient way to copy a worksheet in Excel. Activate the worksheet for which you want to make a copy. Press the Control Key from the keyboard. Left-click on the worksheet tab (a plus sign icon in a worksheet would appear). While still holding the Control key and the Left button of the mouse, drag mouse icon to the right. Leave the mouse Left-button followed by the Control Key. Note: If you want to have the copy of the worksheet appear to the left of the original worksheet, drag the mouse to the left side. A quick way to move rows and columns in Excel. 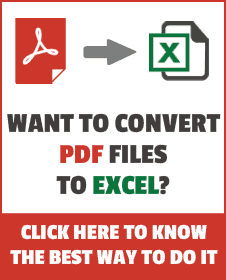 Increase Excel Tab Numbering as You Create a Copy.